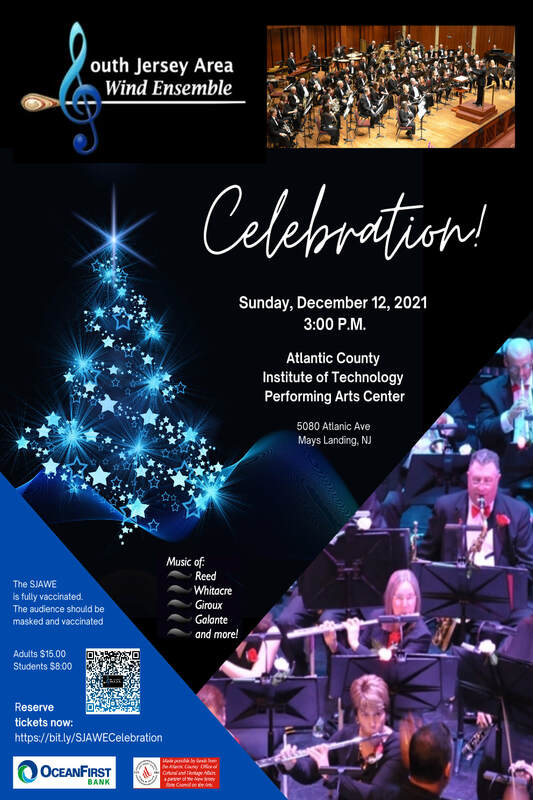 The South Jersey Area Wind Ensemble (SJAWE) was founded in March of 1997 to fill a need for southern New Jersey adult wind and percussion musicians to rehearse and perform the best concert literature in a wind ensemble setting. The members are chosen by invitation and include music teachers and area professional musicians as well as other accomplished instrumentalists. The members of the SJAWE volunteer their time and talents. To provide the members with an opportunity for musical expression, growth and fellowship. To give concert audiences meaningful and personal experiences with quality wind music in the widest possible range of musical style and expression. To foster and promote band music and the community band experience through concerts, conferences, tours and commissions. Exceptions to the requirements may be made at the discretion of the Board of Directors. College or high school students may be utilized as temporary needs exist in an instrumental section. A student may not be invited to a rehearsal without the permission of the Board of Directors and must be at an All-state honors band or college music major level of performance. After the student has attended four consecutive rehearsals the instrumental section for which the student is auditioning will vote on the student. The Board of Directors may vote to continue the student as a substitute for a specific period of time, which is a “season.” (January to April, May to August or September to December). The student may be renewed by the board for the next season, but membership is never given nor implied. If a qualified adult is found as a prospective member, that adult will receive priority in that section and may replace the student substitute. All applicants will participate in a four consecutive rehearsal audition. At the end of four rehearsals, the personnel manager will inform the President that recommendations are due from the instrumental section as to whether to make the applicant’s status permanent. The section’s recommendations are then given to the musical director who will make a final recommendation to the Board of Directors, which will vote on the member. The personnel managers will inform the applicant of the decision of the Board of Directors. Long term college students who have been approved by their section will only require the final approval of the Board of Directors for permanent membership when they graduate or after four years of participation. Summer college students will initially be approved by the standard audition system and will audition for permanent membership upon graduation. ​Summer college students must be at all rehearsals and concerts and are expected to help with equipment loading and/or stage set-up and tear down. Members may recommend college students and must do so before May 1. The Board of Directors will determine which students are needed. The Board of Directors will vote as to which students who participated during the summer will be invited for the next summer as needed based on performance, attendance and participation. If a member must miss a rehearsal, he or she must notify the personnel managers and president by e-mail. The “one click” addresses are on the web site on the rehearsal tab at www.sjawe.com. If a member misses four consecutive rehearsals, another player may be placed in his or her position. The intent will never be to discipline a member, and every attempt will be made to retain members, but instrumental sections must be filled for the good of the organization. When members relinquish their seat with the group and wish to return at a future time, they will not be guaranteed the same seat or part that they had prior to leaving, and they may have to wait for a position to open in the section. The band does not have a “leave of absence” policy except in the case of illness. SJAWE is a year round organization and members are expected to participate with the band for the entire year. 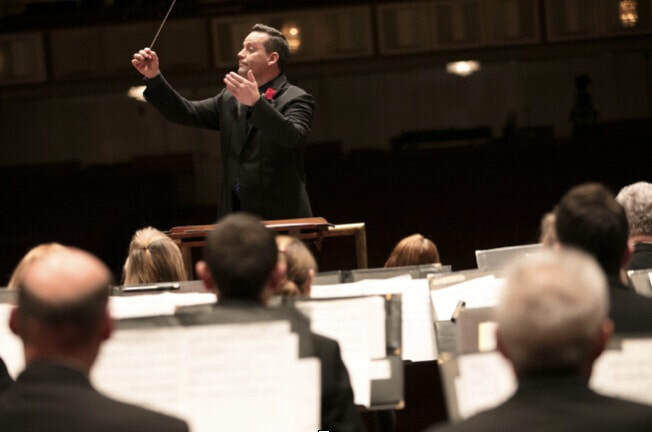 If a member must miss a concert, the musical director, personnel managers, and president must be notified as soon as the member is aware of a conflict. A member who misses a concert may be replaced. The schedule is on the web site for as much as a year in advance, so members should check the web site for concert dates prior to scheduling optional activities. A substitute may be asked to play a concert if the director chooses. No member will play concerts without meeting the attendance requirements. Members must attend at least sixty seven percent of the rehearsals prior to a concert to perform in the concert. The SJAWE does not have “principal players” because it is assumed that all players are capable of playing first or solo parts. A percussion player (or players) will be appointed to assign parts and maintain assignment charts. The members of each wind section will determine parts and solos. Solos should be shared among those in the section who are qualified and interested in playing solos. The final decision will be at the discretion of the musical director. Any member who is unhappy with his or her seating should first discuss it with the members of the section and, if not satisfied, with the music director. If the problem is still not resolved to the member’s satisfaction, an e-mail should be written to the president of the Board of Directors for consideration. The band repertoire will be chosen from the wind band literature and will be recommended by the members, the Board of Directors, and musical director. The choice of music will be presented to the Board of Directors by the music director and approved by the Board of Directors. The music programs should be tentatively set before September 1 of each year for September through June and set by January 1 of each year for June through August. Ray and Gina Ciccone, Dr. Walter and Mrs. Helle Depalma, Stella Hordes, Wallace and Roberta Barr, Frank and Sharon Kollman, Dr Herman and Dorothy Saatkamp. 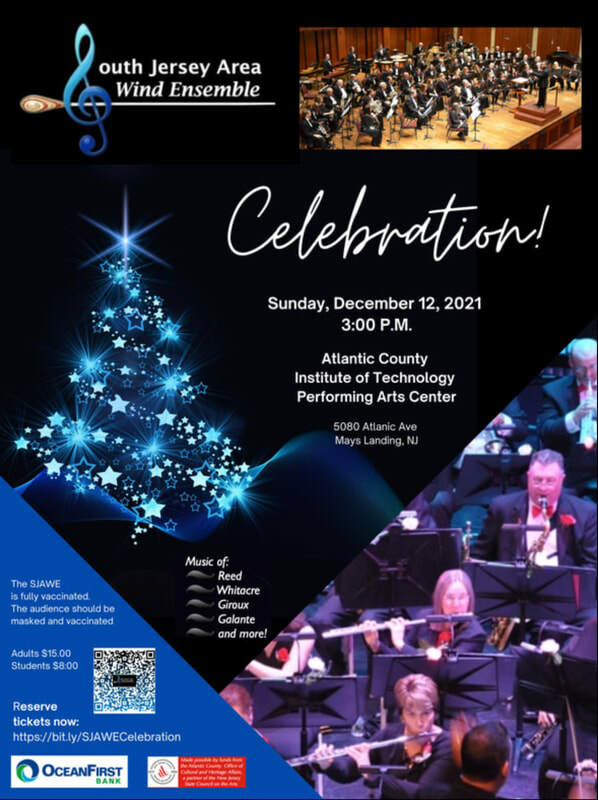 The South Jersey Area Wind Ensemble is a musical group that was founded to provide musical entertainment and enrichment for its members and audiences. As a non-profit organization, it is required to offer opportunities that are fair and equal to everyone involved. 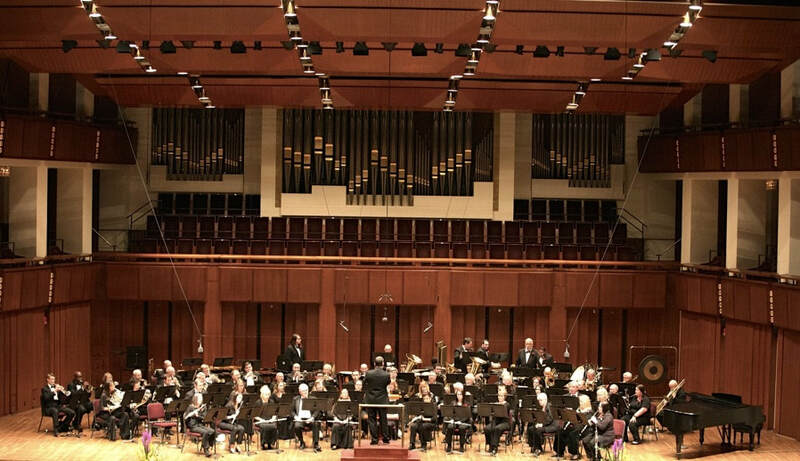 The South Jersey Area wind Ensemble, as an organization, will not tolerate nor encourage any form of harassment, including: racial, religious or sexual harassment. The Board of Directors of the South Jersey Area Wind Ensemble is fully committed to upholding this standard and will take immediate action to dismiss anyone violating our harassment policy. All dealings and decisions regarding the group are to be viewed from the perspective that it is a non-profit formed to be enjoyable, musically challenging, and committed to excellence. Tense situations are to be avoided whenever possible. It should be assumed that all members, because of their musical background already bring with them a desire for excellence. Accordingly, all suggestions from the membership should be welcomed and fairly considered. 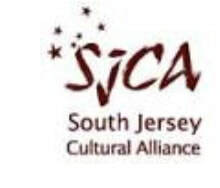 SJAWE is an organization made up of members who volunteer their time to bring traditional and contemporary band music to those who are appreciative of the genre. The SJAWE can only survive through the commitment of its members to help with the growth and development of the ensemble. Growth activities include obtaining support from sponsors, transporting equipment to concert venues, actively advertising for concerts via social media, print, radio and visual media. Musicians should be willing to participate in one of more of the activities fostering the continued development of the ensemble. 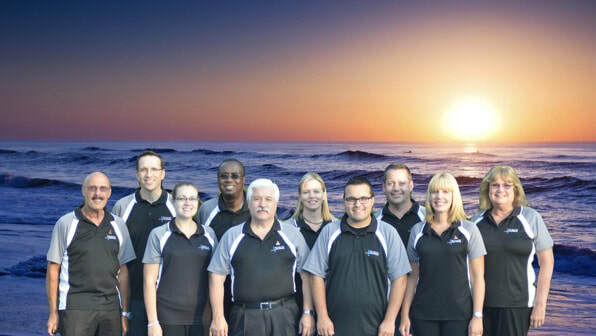 The Board of Directors consists of five permanent members, two members at large elected by the membership, a board secretary (appointed by the president), and two alternates elected by the membership. A member at large and an alternate will be elected every year and serve for two years. The terms will be staggered so that there are always two members at large and two alternates. Alternates will attend board meetings. The alternates’ vote will be counted if a member is not at a board meeting or an e-mail vote is requested and a member does not respond within three days. The senior alternate will have first vote. The Board of Directors will elect the officers of the Board one time per year in August. The musical director, associate conductor and assistant conductor will be approved at that time. The board secretary, corresponding secretary, historian, librarian and personnel managers are appointed by the president with the approval of the board. The Board of Directors will act in the best interests of the organization, will help present the organization in a positive light to the public, and operate in a manner that is morally and ethically appropriate. The board will preserve and, if necessary, reshape the mission. The board will meet four times per year to determine policy and procedures and the direction of the organization. The board will work with the musical director to aid in the development of and maintenance of the musical goals of the organization. instruments pertaining to the business of the board. The president will keep the membership informed of policies of the organization. The president will actively recruit new, qualified members, arrange for concert sites, set the rehearsal and concert schedule, contact and reach agreement with guest conductors and commission writers for terms and conditions. The president will appoint the historian, personnel manager, librarian, recording secretary, corresponding secretary and committee chairpersons. Assume the duties of the president in the president’s absence. The recording secretary will attend all board of directors meetings, keep minutes of each meeting, submit the minutes for inclusion in the corporate book no later than ten days after each meeting and aid with the filing and organization of SJWAE paperwork and computer files. Compile and mail general mailings, which include e-mail and snail mail, to members, sponsors and patrons. Maintain and update the snail mail and e-mail lists. Mail thank you cards, sympathy cards, etc. when appropriate. Determine and implement methods of communication through social media. Keep records of the correspondence sent. Treasurers will draft and present the annual budget to the board, prepare and present a treasurer’s report at board meetings, check accounting work for errors, sign or approve checks and other payments, keep a Quick Book account for the taxes, and sign the annual tax return for the organization. The librarian will dispense, collect and organize all music. He/she will maintain a list of missing parts to be kept with the music folder for future reference. He/she will make a list of missing folders and follow up with members who have not returned folders. The librarian will prepare folders for the student concert and will be a member of the side by side committee. The musical director will prepare and conduct music at rehearsals and concerts. He/she will select band music that will both provide a challenge for the players and appeal to the general audiences. The preferences of the membership should be considered. He/she will purchase music with the approval of the board of directors. The musical director will attend all board of directors meetings to advise and establish the musical direction of the organization. He/she will keep the membership informed of the musical philosophy of the group and the musical direction of the organization. The musical director will select soloists, when necessary, and decide on seating of members within the applicable instrumental section. He/she will arrange of rehearsal sites. He/she will submit the musical concert programming to the board of directors in September and January for approval of the winter and spring/summer sessions. He/she will make recommendations to the board as to permanent status of members and determine instrumentation as well as participating in all aspects of the group’s activity. Conduct the band in the absence of the director and/or associate director and aid the director and associate director as is seen necessary. The historian will keep a yearly hardcopy book of all ads, concert programs and memorabilia of the band. A digital copy of the history will be sent to the webmaster bi annually to be posted to the web site. He/she will write an end of the year summary of the band’s activities to be added to the yearbook. The historian will be assisted by a committee consisting of members who will take pictures, produce the yearbook containing pictures and to assist in scanning and copying. Yearbook Editor will create a photo yearbook to be on line and for purchase by members. The personnel managers will keep an up to date roster of names, e-mail addresses, street addresses and phone numbers of all members. They will keep an accurate record of attendance. They will poll the sections after a new applicant’s four rehearsal audition and will inform the board of directors in a timely fashion when it is necessary for them to vote on acceptance. They will keep track of and inform the board when a member has missed four consecutive rehearsals so that the board may consider substitute status for that member. The will actively recruit new, qualified members. They will obtain and record background information on all members and will convey information on new applicants to the board after the second rehearsal. They will collect dues in January from present members and collect dues from new members during the year. They will acclimate new members. They will be on the side by side committee and will communicate with students with attendance issues as well as compiling student information, aiding in set up for the student rehearsals and concerts. The advertising manager will write and submit articles and pictures to all major media in the concert area prior to each performance. He/she will develop advertising strategy and communicate with members of the media to encourage cooperation. The Webmaster will maintain the SJAWE website and post videos of the band on YouTube.com. The professional development manager will obtain attendance information from the personnel manager and issue personal development paperwork to members who indicate that they want the points. The equipment manager will compile a list of members who will assist in loading and set up of equipment for concerts as well as procuring a driver for the truck. The loading manager will oversee all aspects of loading and unloading of equipment and directing the personnel handling equipment as well as insuring function of equipment during concerts.